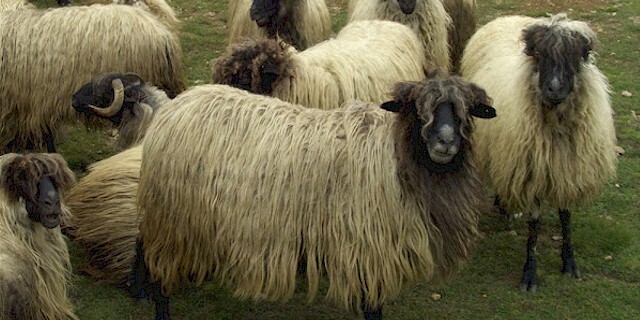 Karayaka are multi-purpose sheep from Turkey. They are good for producing both meat and milk, and their wool is also used in carpets. They are mostly found in the northern Anatolia in Turkey, and are strongly identified with the village of Karayaka. They are also found along the eastern half of the Black Sea coast, especially in Giresun, Ordu, Sinop, Samsun, and Tokat. And they are also raised in Duzce, in the region of Western Black sea. The quality of grazing in the areas where these animals are distributed is quite high. And grazing season in these areas is longer than in most of thernother regions. Flock size of the Karayaka sheep varies from 5 to 200 heads. Thernflocks are usually smaller in size in the coastal areas and larger in the inner parts/regions of the country. Most of the animals go to the mountains in thernsummer in large communal flocks, and usually return in the winter. There were around 1.7 million Karayaka sheep available in Turkey in the year of 1983. And that number was about 3.5 percent of the total sheep population there. But today, their total numbers has decreased to around 800,000, mainly due to occasions of crossbreeding. Their total numbers also decreased for the farmers, shifting to raising other more profitable sheep breeds. Karayaka are small sheep. They are usually white with black eyes or black legs and head. Sometimes, black or brown animals are also seen.These animals are classified as a long-thin tailed breed. The rams usually have thick spiral horns, and the ewes are generally polled or hornless. The ewes on average stand around 24.1 inches at the withers, and the rams are larger than the ewes.